Nick Taussig is a trustee of Harrison’s Fund, which fights Duchenne muscular dystrophy, a fatal muscle wasting disease that often kills boys before they become men. His two sons, Theo and Oskar, were diagnosed with the condition in 2014. Harrison’s Fund seeks to get as much money as possible into the hands of the world’s best researchers, who are working to find a cure for this horrible illness, which affects 300,000 boys worldwide. 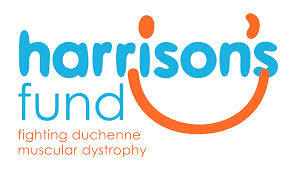 Harrison’s Fund is registered charity number 1146662 in England and Wales, and part of Duchenne Alliance, a global community of Duchenne charities. Learn more. Visit Harrison’s Fund.